Makerspaces are communities for people who want to build, modify and learn about things: a robot or a drone, a 3D printer or scanner, using a laser cutter, learning to solder and build electronics, programme a Raspberry Pi, make cosplay costumes, weld metal, communicate on the Internet of things, make an electric bike or wheelbarrow…. or a pair of shoes! 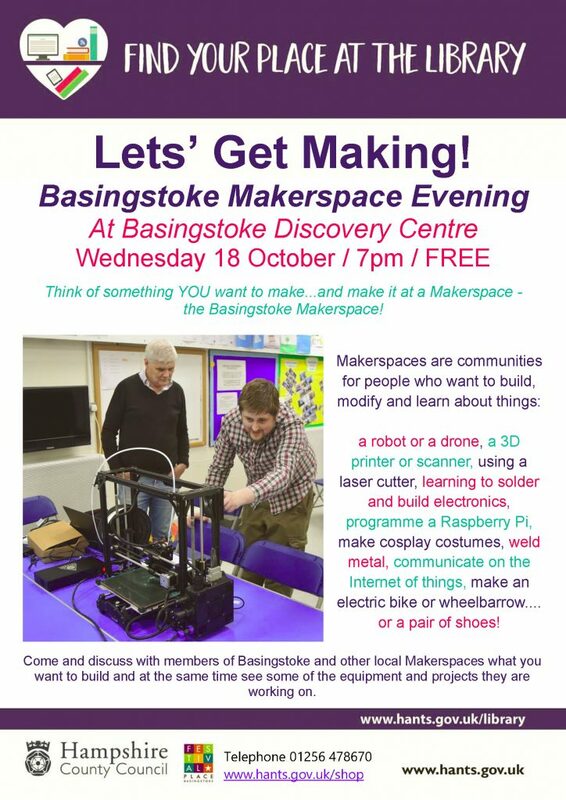 Come and discuss with members of Basingstoke and other local Makerspaces what you want to build and at the same time see some of the equipment and projects they are working on.